This is the first in a series of articles discussing Top 5 Content Essentials on Your Website for Local SEO Rankings. 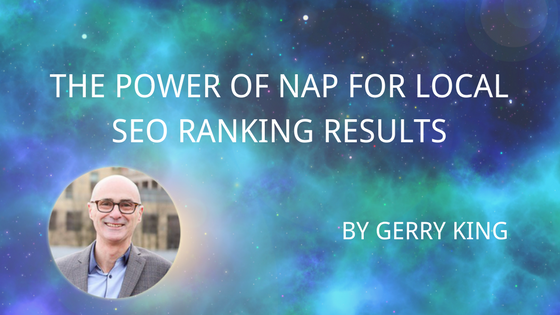 This first article; The Power of Name – Address – Phone Number (NAP) for Local SEO Ranking looks at a fundamental but easily overlooked factor in local SEO ranking criteria. Adding content to your company website with a locally based emphasis is a must in making sure you appear above your competitors in search engines for local search terms. If someone is searching for ‘replacement double glazed units Newcastle’, having plenty of local references throughout your website will help you to rank higher. Once that requirement is established we need to have a strategy for how and just where on the website to include that vital local information. In this series of articles I’ll discuss 5 types of content that can and should be given the local treatment. I’ll go into some detail on the first of those here with more to follow in forthcoming articles. Commonly known in search engine parlance as NAP this is the information that Google will pick up from your website and make the connection between the services you’re offering and the location details on your website. The obvious place for these details are on your Contact page, you should however have your full NAP on every page of the site, the footer being the obvious place. This information needs to be consistent with the details used on any other directories or websites. Including your company’s name, address and phone number on footer of all pages on your site just as it appears on Google My Business and all other online directories will have a big impact. As far as website visitors are concerned you’re making it easy for them to know where your business is physically located while at the same time making sure that search engines have that vital information also. If you are a service business such as the one mentioned earlier ‘replacement double glazed units Newcastle’ you can perhaps add “Serving Newcastle and Gateshead” to the website text. Don’t be tempted to add too many locations; all you’ll succeed in doing is diluting the SEO muscle gained by focusing on a more specific area or even being ranked down because of spammy techniques. Does you want to improve local search results? Ask us about our local SEO and Online Business Listings services to boost your local SEO rankings.